Sure, the Xenomorph is a relentless predator hell-bent on propagating their species at the cost of all other lifeforms, but sometimes all they really want is a cuddle. 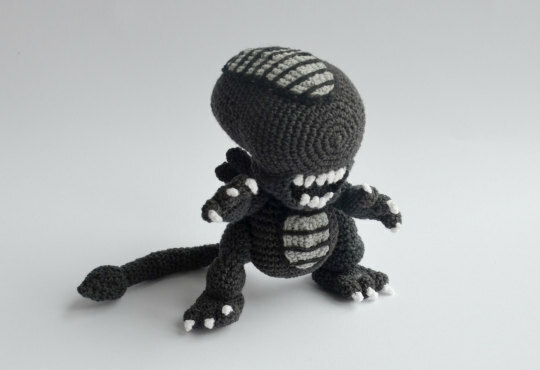 This kawaii crocheted Alien (who almost certainly does not have acid blood) is the latest creation by Polish crochet artist Kamila Krawczyk, aka Krawka (previously featured here). Although Krawka is keeping this Alien Xenomorph to cuddle herself, she’s made the pattern available for download via her Etsy shop.